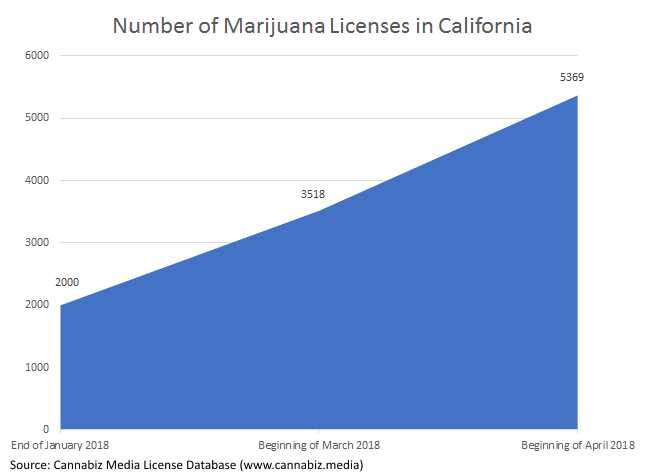 Part 5 of Cannabiz Media’s 6-part series about marijuana licenses in California reviews the state’s 2018 licensing growth and compares the state’s licensing numbers to those of other states. If you missed previous parts of the series, you can follow the links to read them now: Part 1: California Overview, Part 2: California Cultivation, Part 3: Manufacturing and Part 4: Retail and Dispensing. California issued more than 5,000 marijuana licenses during the first quarter of 2018. This equates to 65 licenses issued per day. If this pace continues, there could be 20,000 California licenses by the end of 2018. California currently has more active marijuana licenses (5,369) than Colorado (3,206) and Oregon (1,792) combined. 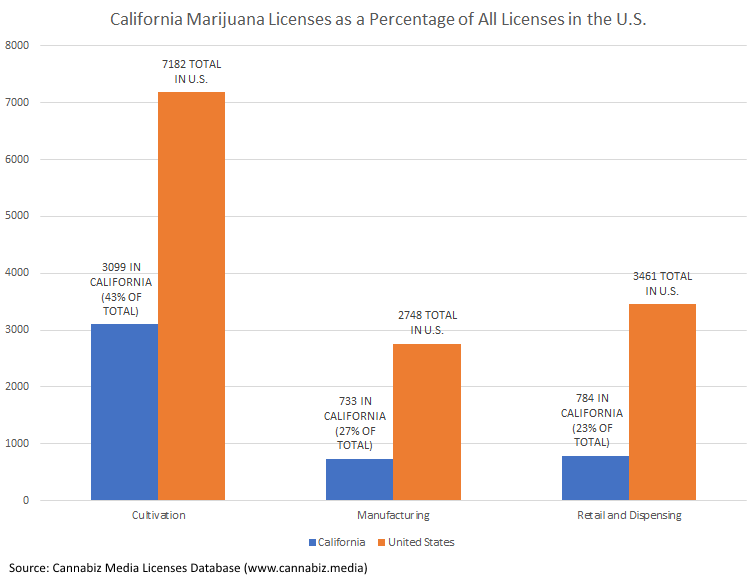 The Cannabiz Media License Database currently shows that California has issued 5,369 licenses, which is more than double the approximately 2,000 licenses that were being tracked in the database at the end of January of this year and significantly more than the 3,518 licenses that had been issued when I started this series at the beginning of March. The chart below puts the growth rate into perspective. 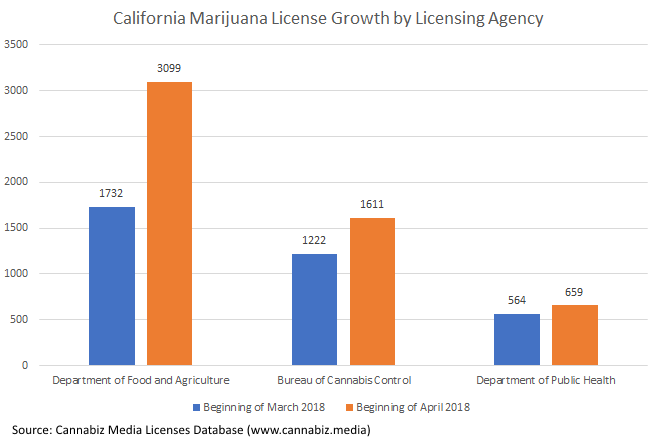 Among the three regulators that issue marijuana licenses to California businesses, the Department of Food and Agriculture – which licenses cultivators – has experienced the most growth in licenses since the beginning of March 2018 at 79%. The number of license issued by the Bureau of Cannabis Control – which licenses adult-use and medicinal retailers, testing labs, and microbusinesses – increased by 32%, and the number of licenses issued by the Department of Public Health – which licenses manufacturers – grew by 17%. 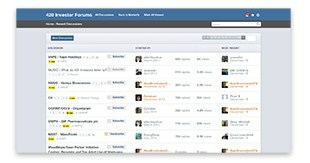 The chart below shows this data visually. The 5,369 active marijuana licenses that have been issued in California so far are primarily cultivation licenses (3,099). As you can see in the chart below, there are also 682 active manufacturing licenses in the state and 841 active retail and dispensing licenses. 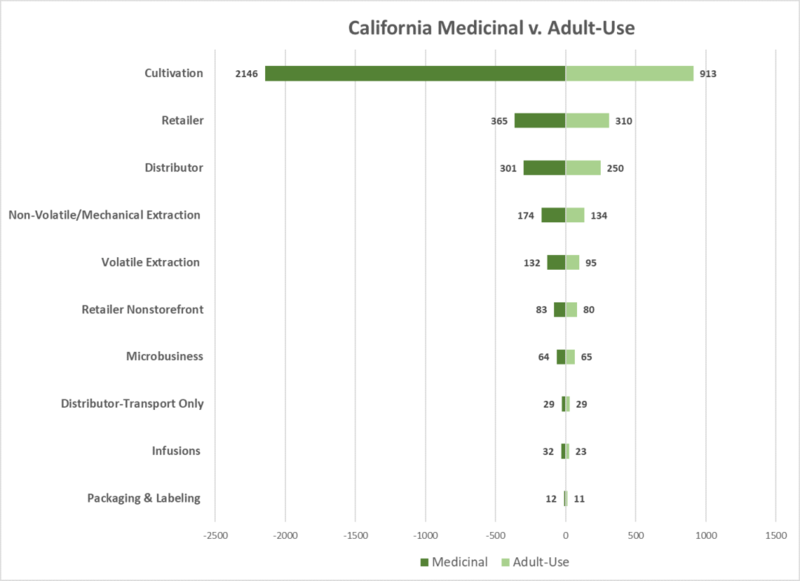 Of the licenses that have been issued in California as of the time of this post’s writing, the distribution of issued licenses shows there are more medicinal use licenses than adult-use licenses in the state. You can see the distribution in the chart below. Note that the data in the chart below does not include microlicenses. It will be interesting to revisit this data in a few months to see if the distribution has changed. At this time, there are 7,182 active marijuana cultivation licenses in the United States, and 43% of them are in California. 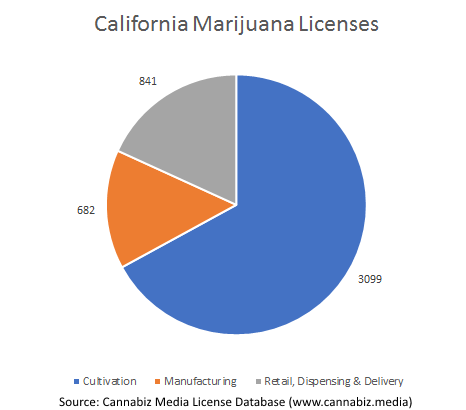 In addition, there are 2,748 active manufacturing licenses and 3,461 retail and dispensing licenses in the United States of which 27% and 23% (respectively) are in California. You can see the breakdown in the chart below. It’s important to understand that the number of marijuana licenses in California is growing rapidly on a daily basis. However, the state is only issuing temporary licenses right now. These temporary licenses will start to expire at the end of April (each is valid for 120 days from the date of issuance). When a temporary license expires, the license holder can apply for a 90-day extension if they’ve submitted a complete application for a regular license. This is something to watch in the coming months as things could look very different in the future. Part 6 of the Marijuana Licenses in California series will include an infographic highlighting some of the most interesting information about California’s marijuana licenses. At Cannabiz Media, Ed enjoys the challenge of working with regulators across the country as he and his team gather corporate, financial, and license information to track the people, products and businesses in the cannabis economy. 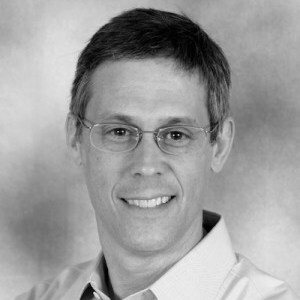 Ed graduated from Hamilton College and received his MBA from the Kellogg School at Northwestern University. He has been active with the Software & Information Industry Association for his whole career and managed the Content Division for six years.